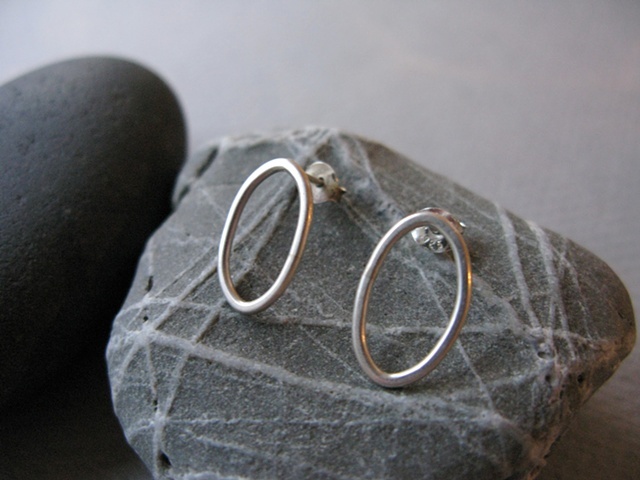 These simple earrings are perfect for everyday wear- a nice change from your typical hoops. They are the petite version of my Large Oval Earrings. Lightly hammered for a subtle texture.